The Chevrolet Bolt and the Tesla Model 3 have shown automakers are serious about making long-range electric cars available to the mass market. 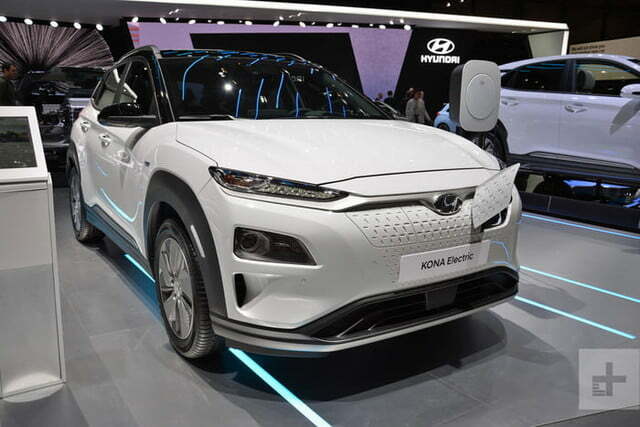 The next vehicle to join the Bolt and Model 3 in that noble mission just might be this odd-looking Hyundai. 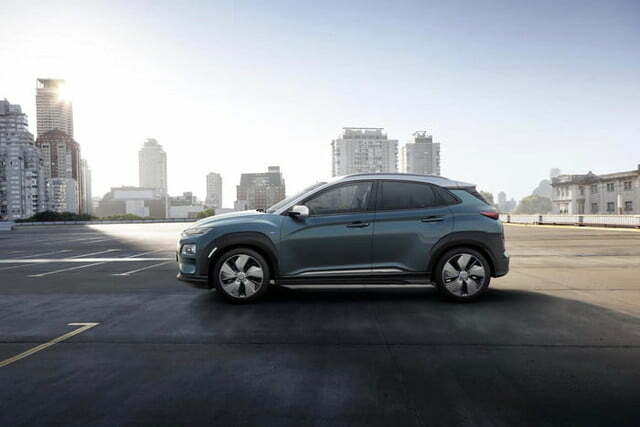 As its name implies, the Hyundai Kona Electric is an all-electric version of the recently introduced Kona crossover. 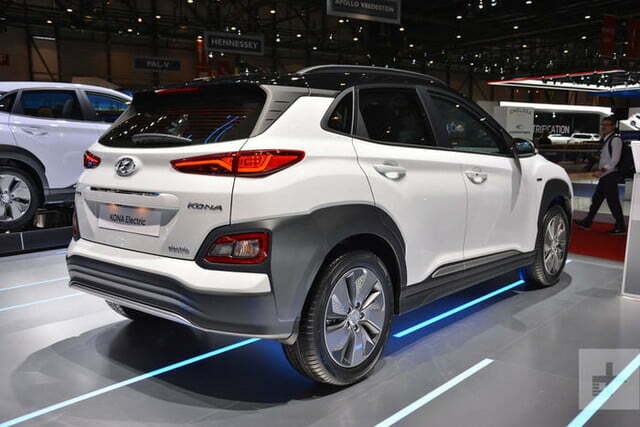 It made its debut at the 2018 Geneva auto show alongside the redesigned Santa Fe but Hyundai remained tight-lipped when asked about specifications. The Environmental Protection Agency (EPA) pegs its maximum driving range at 258 miles per charge, according to Roadshow, a figure that places it between the Bolt (238 miles) and the long-range, $50,000 Model 3 (310 miles). Power comes from an electric motor that draws electricity from a 64-kWh battery pack to produce 201 horsepower and 291 pound-feet of torque. It takes a respectable 7.6 seconds to reach 60 mph from a stop and it goes on to a top speed of 104 mph. 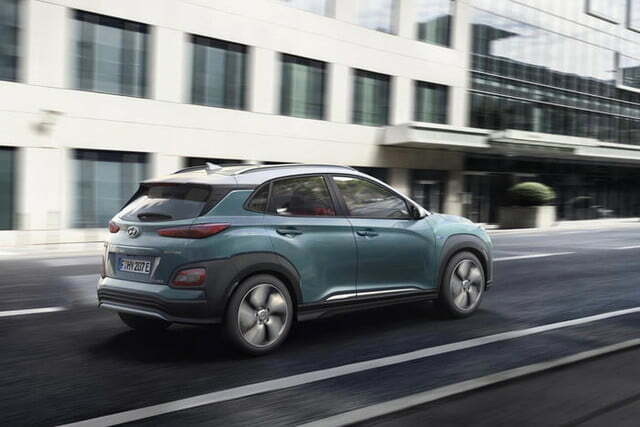 Hyundai will also offer a short-range version of the car with a 39.2-kWh battery pack but the EPA hasn’t released range information for that variant yet. 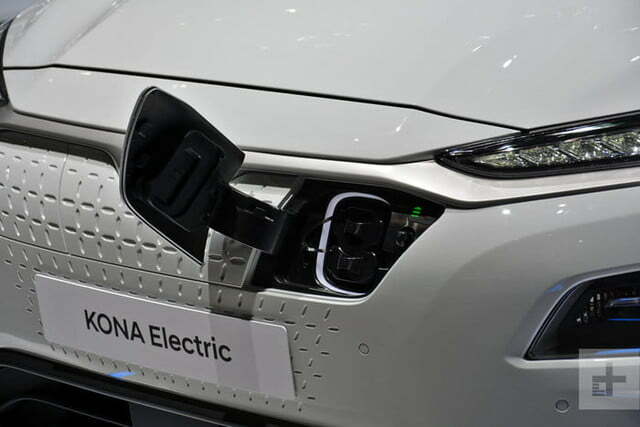 The Kona Electric is available with DC fast charging, which can recharge either battery pack to 80-percent capacity in 54 minutes, assuming you can find a station. 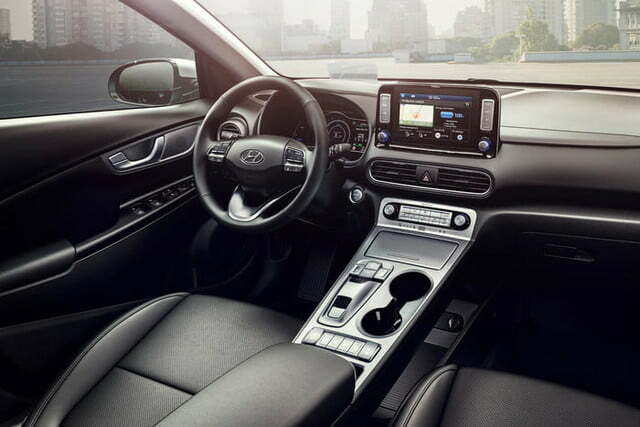 The car can’t be charged wirelessly, but a Qi wireless inductive charging pad for phones is located in the center console. 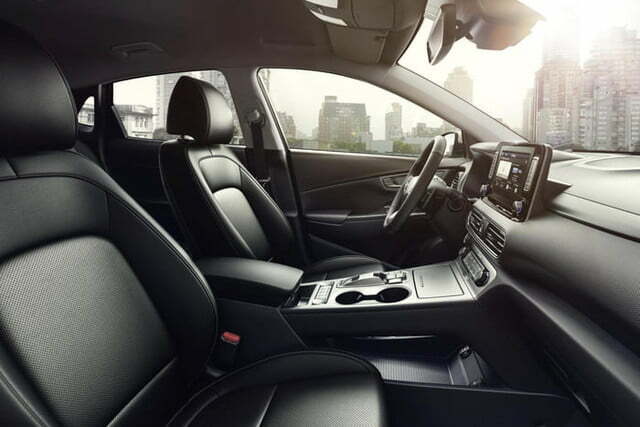 Other tech features include a head-up display, navigation with 3D maps, and Apple CarPlay/Android Auto compatibility. 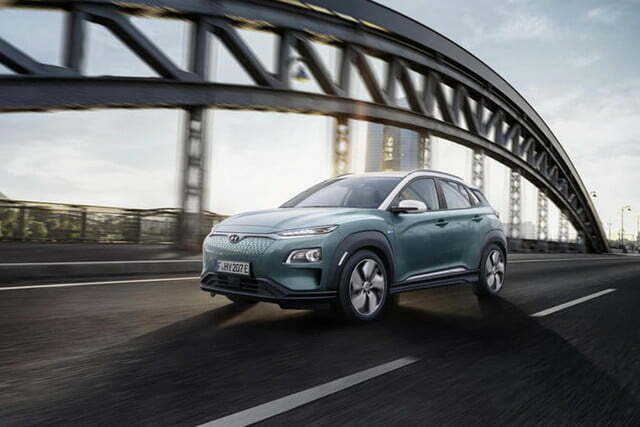 Styling doesn’t change dramatically from the non-electric Kona, but the unorthodox looks are probably a better match for the Kona Electric’s forward-thinking powertrain. 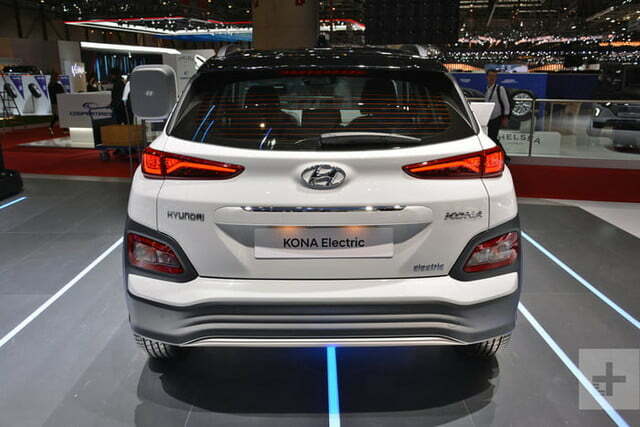 The Kona Electric does feature a smoother front fascia with less contrasting body cladding. 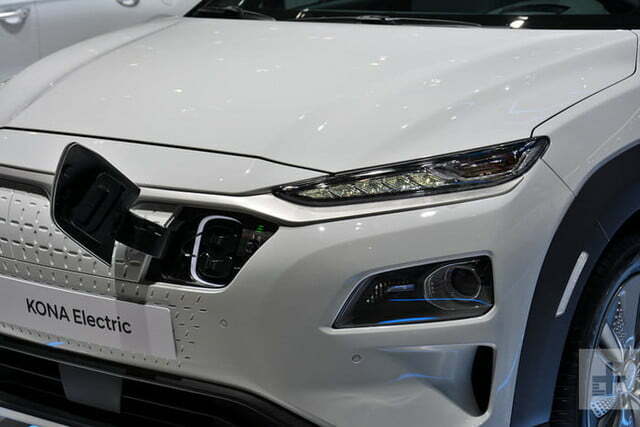 The charge port is hidden in the grille, next to the Hyundai logo. 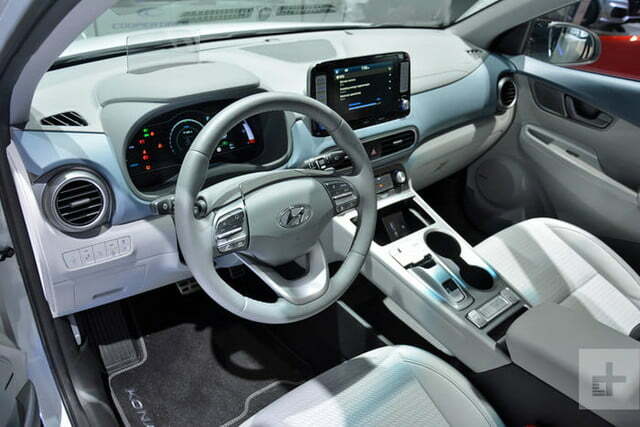 On the inside, Hyundai replaced the shift lever with a cluster of buttons. 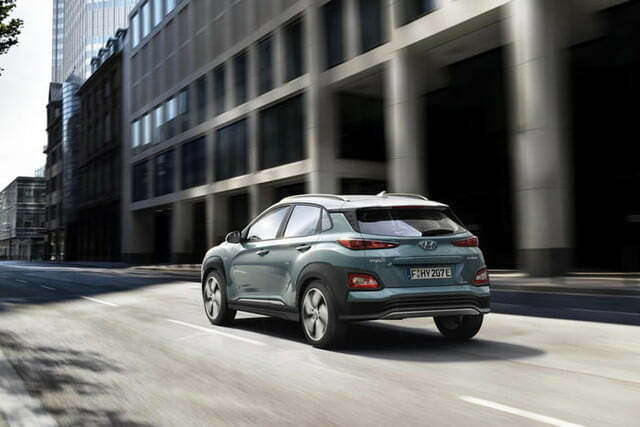 The Kona Electric is available with an array of driver-assist features including adaptive cruise control, autonomous emergency braking with pedestrian detection, lane departure warning, lane keep assist, blind spot monitoring, rear cross traffic alert, a driver-attention monitor, speed limit monitor, automatic high beams, and a lane-follow assist feature that automatically applies some steering assist to keep the car centered in its lane. 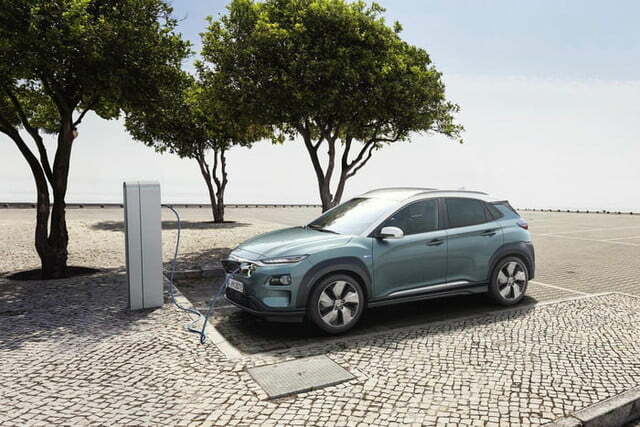 The 2019 Hyundai Kona Electric will go on sale this fall. 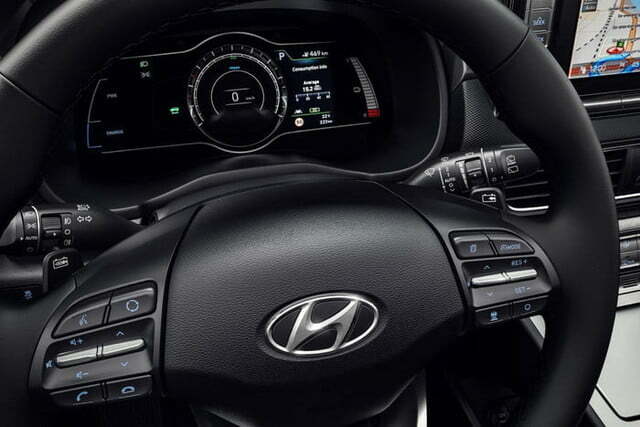 Pricing hasn’t been released yet, but Hyundai notes buyers are eligible to receive substantial incentives offered by the federal government, plus additional incentives added by many local governments. Updated on August 21. 2018: added range, U.S. market specs.